After much consideration, ACM SIGGRAPH is putting a hold on the Pioneer Mentors program, Spend a Week at SIGGRAPH, for 2018. While there is no question it has been a valuable program with positive impact, we want to take time to do broader planning and to review current best practices for youth programs. This program provides a full week of immersion in the best of computer graphics and interactive techniques to high school students aged 16 or over who live in or near the city that hosts the annual SIGGRAPH conference. SIGGRAPH mentors meet with the students and provide on-site guidance before, during, and after the conference. In recent years, the program has been supported by the National Science Foundation, GRAND, the NVIDIA Foundation, and conference attendees. Each selected student receives Full Conference registration and one-on-one mentoring from an experienced member of the SIGGRAPH community. A parent, teacher, or student must contact the local student recruiter for each conference. There is no need for the student to be directly involved in technology, though he or she must live in or near the city that hosts the SIGGRAPH conference. Teachers help in the selection process, so students must have at least a C average in their academic work. If you are a high school educator who would like to nominate one or more students for this program, please contact the Chief Student Mentor for more information. Students who are over 16 but not from the local area can register to attend the conference at the reduced student rate. Students over 18 can apply for the Student Volunteer Program, and if they’re accepted, receive some help with conference expenses. In either case, the SIGGRAPH Pioneers can provide a mentor for the conference. 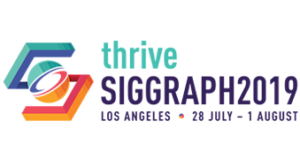 Attend a full sampling of SIGGRAPH events. SIGGRAPH mentors help students learn more about the conference and the history and future of computer graphics. Write a one to two page summary of their experience and how it influenced them. If you are a SIGGRAPH member who would like to mentor a student at the annual conference, please contact the Chief Student Mentor. Share your email address with your student(s) before and after the conference. Meet with the student on a mutually arranged schedule during the conference. Receive the student summary and send it to the Chief Student Mentor with your remarks about your experience. Feedback from past participants in the Spend a Week at SIGGRAPH program.